Dash through the snow in a snow coach, on snowshoes, cross-country skis, or even on the back of a dogsled as you uncover the magic of Yellowstone and Big Sky Country on this family-friendly, winter wonderland journey through the world’s first National Park. Awaken your senses and experience Yellowstone National Park with your kids as it was meant to be seen: pristine, stunning and with no crowds. 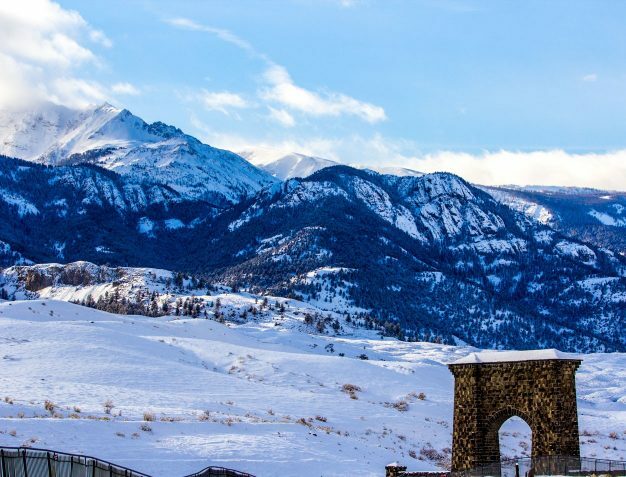 During this all-inclusive Yellowstone and Montana vacation package, visit the geothermal hot springs, geysers and mudpots and keep your eyes peeled for wildlife in their natural settings to the backdrop of an undisturbed blanket of snow. Give ice skating a go before settling into your cozy accommodations for a hot cocoa by a roaring fire as your kids regale you with their many discoveries from the day. Hearty meals of tasty game, fresh, local produce and heavenly desserts are yours to savor before a good night’s rest and tomorrow’s new adventures. All the while, enjoy Austin’s signature touch of inspired, thoughtful service and spend time focusing not on the details but rather on creating unforgettable memories on this trip of a lifetime. Dive into a quiet winter wonderland of lodgepole pine forests, geysers, waterfalls, and wildlife as you explore Yellowstone National Park by ski, skate, dog sled and snowshoe. With roots deep in Montana soil, it’s no wonder we’re the leading providers of best-in-class travel from Gallatin Canyon to Old Faithful and beyond. Join us as we introduce you to our backyard and one of our favorite places on Earth. 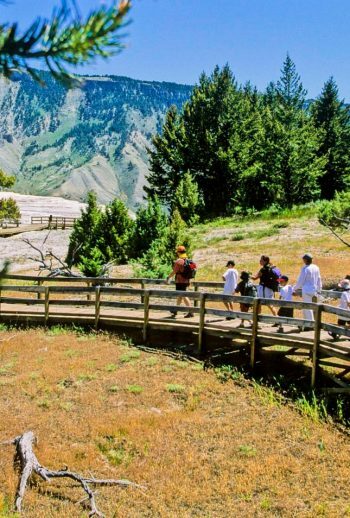 This six-day, exclusive journey into the wilderness of Yellowstone and Montana is truly an experience that the oldest and youngest adventurers in your family will remember forever. Keep a watchful eye for elk, bison, coyotes, and foxes as you ride to Old Faithful in your cozy snowcoach. Leave Yeti-sized prints as you snowshoe through lodgepole pine forests. Learn commands like ‘Gee!,’ ‘Haw!,’ and ‘Whoa!’ as you mush or ride in a dog sled in Big Sky Country. Opt for extra whipped cream on your hot cocoa as you wrap up the day by the fireplace in the cozy comfort of the Old Faithful Snow Lodge. The lack of crowds: Yellowstone is the world's first National Park and one of the nation's most popular summer destinations. While spectacular year-round, it's a particular treat in the winter. Mush! Dog sledding has been around for over 4,000 years. While it is most commonly known as a sport nowadays, it was originally used by ancient tribes as a way to move loads over long distances. The wildlife: Yellowstone is home to the largest concentration of megafauna in the lower 48. A snow-white backdrop is the perfect setting to espy the heavy breath of a bison or find the footprints of a dashing rabbit. Take a leisurely morning ski with your guides on the Fern Cascades trail, looping through lodgepole pine forests and over rolling woodlands. Lunch on your own back at the lodge. Enjoy an afternoon on your own to take in a few more steaming hot springs, check out the visitor center and gift shops, or head over to the ice skating rink to try your hand at figure skating. Meet back up for an early dinner in the Snow Lodge followed by a Steam, Stars & Winter Soundscapes tour. This morning, we head up to Big Sky where we’ll embark on a dog sled tour through the wintry backcountry, with views of majestic snow-covered mountains and frost-laden pines as your backdrop. After this one-of-a- kind experience, enjoy a tasty lunch and some shopping in Big Sky Town Center. This afternoon, we embark on a short but neat hike to Ousel Falls just outside of town. Back at the ranch, enjoy some downtime before heading out on a pre-dinner sleigh ride. This morning, take the kids to the ranch’s hill for some last minute sledding fun or choose to sleep in and relax in your cabin. Late morning, we transfer back to Bozeman where your guides will drop you off at the airport for your post-trip flights or at your local hotel. After receiving your reservation and deposit, we’ll send you a pre-trip planner with general information about thearea you’ll be visiting, a packing list, exercise guidelines, a guest information questionnaire and a liability releaseagreement for you to sign and return within 10 days.